Being a fan of Prince the musician rather than Prince the hit machine or Prince the phenomenon, ‘PlectrumElectrum’ was an album I looked forward to. Unlike most people, I was particularly fond of the guitar oriented direction of the ‘Lotusflow3r’ album and the prospect of an album made with his all-female backing trio 3rdEyeGirl seemed to promise the band feeling that characterized the best material of Prince and the New Power Generation. And indeed: ‘PlectrumElectrum’ might just be the most band driven material Prince has released in a long, long time. Possibly ever. First things first: Prince and 3rdEyeGirl have an incredible chemistry. It works that the band consists of fantastic musicians. Especially Danish bassist Ida Nielsen, who had been backing Prince for a couple of years already, really shines here. She impressed me at two Prince shows I attended recently already, but her star shines almost as brightly as the purple one himself here. Her fantastic basslines range from beautifully melodic to viciously rocking whilst never forsaking that essential groove. I tend to slightly prefer John Blackwell’s grooves to those of Hannah Ford Welton, but she lays down some awesome fills. What’s most important, however, is the songs. Luckily, Prince has delivered his most consistent set of songs since ‘Musicology’. The material largely focuses on grooves and guitars. Figuring that this is Prince, the grooves are generally sultry and seductive, but the record rocks surprisingly hard at times as well. When the riffs kick in during the second track ‘Pretzelbodylogic’, it’s obvious that the focus isn’t just on Funk and Soul. And that’s not where it stops, ‘FixUrLifeUp’ is one of the album’s highlights with it’s huge riffs and melodic verses, the killer title track is a jam heavy instrumental that brings to mind Hendrix and Led Zeppelin – not in the last place because the main riff brings to mind ‘The Ocean’ – and the socially conscious message of ‘Marz’ is backed up by R’n’R riffs that put Status Quo to shame. One of the album’s finest moments is the fantastic cover of Alice Smith’s ‘Another Love’, which has a monstrous groove, moving vocals and a mind blowing solo section – which seems to be Prince trading off with Donna Grantis – lifting the song to a level the original didn’t reach. The rest of the album moves between accessible Rock (‘Wow’), pure Funk (‘Funknroll’, unsurprisingly), balladry (‘Whitecaps’) and even contemporary R’n’B (‘BoyTrouble’). The only misstep is the syrupy ‘TicTacToe’, which drowns in its own overdose of repetition. In the recent past, Prince often seemed to favor either composition or performance, based on what his ideas for the songs were. All the material on ‘PlectrumElectrum’ shows that both directions can mingle and intertwine with fantastic results. Though I really liked ‘Lotusflow3r’, this album has the consistency that so many critics have accused Prince of having lost. This material just screams for the live environment, like ‘Let’s Go Crazy’, ‘Peach’, ‘Guitar’ and ‘Colonized Mind’ before it. And that’s exactly the type of album Prince needed at this point in his carreer. Walter Trout in the new issue of Gitarist! About a month ago, I had the pleasure of talking to Blues legend Walter Trout on the phone. 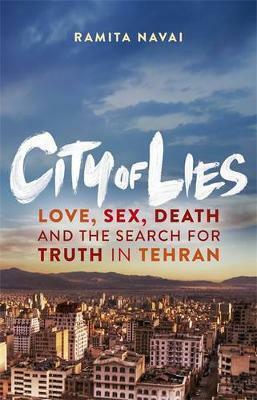 It turned out to be one of the most remarkable interviews I have ever had. Trout was on the brink of death no less than half a year ago due to hepatitis C. Since then, he had a liver transplant, his remarkably good new album ‘The Blues Came Callin” was released and during our chat, I found out he’s even starting to think about touring again. For more details on that conversation, I’d like to direct you to this month’s issue of Gitarist, which is available in stores as of today. Furthermore, I spoke with Marcus Deml, once one of Germany’s most sought-after session guitarists, but these days, he focuses on his own Rock band Errorhead. Any fan of Bluesy Rock with a Funky touch is well advised to give that band a chance, you may even want to catch them on their forthcoming European tour. It’s worth it. Other notable articles from other authors include a ten page vintage special, a special on compressors, many lessons in various genres (including on Walter Trout’s style) and that beauty of a Duesenberg guitar on the cover. Personally, I’m a Les Paul man, but admit it: it’s quite hard to resist, isn’t it? This is only the tip of the iceberg, but I can honestly say that as a guitar freak, I even would have checked this one out if I wasn’t writing for them. There are albums that should have been heard (and loved) by everyone, but just don’t get heard by anyone. It could be a matter of bad timing, lacking promotion or just simply bad luck. For Germany’s Crows, it’s a matter of “all of the above”, although the lack of promotion is something they had agreed on with their label Century Media Records. That did, however, keep a lot of people from hearing this genuine masterpiece of melodic, powerful and semi-progressive Heavy Metal. Even when drummer Bobby Schottkowski and guitarist Bernd Kost joined Thrash legend Sodom about half a decade later, the album didn’t get the attention it deserved. Stylistically, Crows’ music is something of a mixture of the best elements of melodic German Speed Metal and early US Power Metal. Those who know Schottkowski and Kost from their tenure in Sodom will probably be surprised by the enormous amount of melody heard on ‘The Dying Race’. The album is full of awesome twin guitar lines, old school Heavy Metal riffs, unexpected twists in the songwriting department and blazing solos by Kost and fellow guitarist Jochen Kalpein, often backed with riffing that lends it a slightly dramatic edge. Polish siren Leszek ‘Leo’ Szpigiel joined Crows shortly before the recording of ‘The Dying Race’ and delivers the best performance of his carreer here. His melodies are slightly lower than those familiar with his work may expect, which adds a lot of balls to his parts. However, the most redeeming factor about the vocals are the brilliant harmonies and little call-and-response bits he does, such as in the chorus of the moving opening track ‘The Frantic Factor’. It’s those harmonies that get passages from the mind blowing ‘We Are The Storm’ and the menacing ‘East Of Eden’ stuck in your head forever. Despite the consistently high level on ‘The Dying Race’, there’s four songs that stand out. Which isn’t too bad if you consider that’s half the album. ‘The Frantic Factor’ and ‘We Are The Storm’ are fantastic examples of how Metal can be aggressive, melodic, catchy and interesting at the same time, while ‘Four’ is a riff fest the likes of which were very few in number in 1991 that gets your blood boiling, while the closing title track brings all of the album’s melodic qualities, prowess in the musicianship department and progressive structures together in a simply irresistable track. 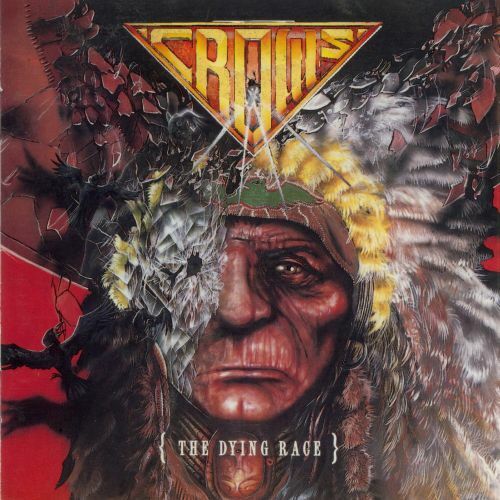 For those wondering about the aging Native American on the album cover: the lyrics on ‘The Dying Race’ are based on Native American history. Kalpein, who penned all of them, has studied the subject and delivered us lyrics that are more than an excuse to sing about fighting cowboys. A nice extra touch to an already great album. While Crows never got the recognition they deserved, the digital age that we live in these days does provide a new chance to check out this incredible material. In fact, US based label Divebomb Records has re-released the album with all of the band’s demo’s as bonus. I suggest you will at least give this a listen, because it’s hard to find a Metal album these days where melody, aggression and intelligence go hand in hand as well as on ‘The Dying Race’. 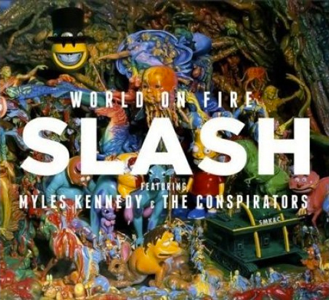 Despite being promoted as Slash’s third solo record, ‘World On Fire’ is technically the second album by the band lead by him and singer Myles Kennedy. Very little bands in recent Rock history have such a tight band dynamic as Slash, Myles and The Conspirators, the Canadian rhythm section of bassist Todd Kerns and drummer Brent Fitz. While this album’s predecessor ‘Apocalyptic Love’ took some time to grow on me, the celebratory, hard-edged Rock ‘n’ Roll sound of that record is continued successfully and while true standouts like ‘Anastasia’ and ‘Bad Rain’, ‘World On Fire’ is just as good and possibly even more consistent. Throughout his musical carreer, Slash has hardly ever strayed from his Hard Rock with a shot of eighties Metal direction and ‘World On Fire’ is no exception. One could dismiss this as unoriginality, but Slash always finds ways to improve on this formula, especially with this lineup. The rhythm section is rock solid and Kennedy is quite likely the best Rock singer on the face of the Earth right now. What does deserve some recognition is that the album contains some of the best riffs Slash has written thus far. Combined with Kennedy’s talent for strong hooks, it’s a winner. As mentioned before, the highs on the album may not be as high as the ones on ‘Apocalyptic Love’, but the album is a thoroughly entertaining listen all the way through. A few standout moments include ’30 Years To Life’, which builds from a Delta riff to an energetic Rocker, the unabashedly Metal ‘Beneath The Savage Sun’ and the pleasantly surprising structure of the awesome ‘Shadow Life’. Due to its blistering riffwork and recognizable chorus,’Too Far Gone’ should have been the single in a time when singles mattered and the title track is an incredible powerful opener and ‘Automatic Overdrive’ and ‘Wicked Stone’ are spirited Rockers. However, the album isn’t without its flaws. Apart from the hideous artwork – from the ugly cover right down to the subpar band photos – the album takes a notable dip in quality after the very interesting ‘Withered Delilah’ (bonus points for that title, by the way). Luckily, the album picks up steam again with the upbeat ‘Avalon’. What follows is the delightfully dynamic ‘The Dissident’, Slash’ most exciting instrumental thus far in the shape of ‘Safari Inn’ and the brilliantly dark and bitter closing track ‘The Unholy’. In the end, ‘World On Fire’ is a strong Hard Rock album that deserves to be heard by any fan of the genre. Quite a lot of this material deserves to be heard in the live environment. I’m quite sure it will work just as well as the songs from ‘Apocalyptic Love’. It’s just that the fact that a CD can contain 80 minutes of music doesn’t necessarily mean that you have to do it. Aside from that minor complaint, everyone who enjoyed everything else Slash has done in the past can safely acquire this record. It’s rare to hear Rock bands sound this inspired and “together” these days. While it’s easy to dismiss Queen for the musical identity crisis that butchered most of their eighties output, we must not forget that their carreer was bookended by a group of incredible. Being a fan of bombastic music, I can’t help being captivated by especially the part tribute to, part parody of progressive Rock that characterized their early to mid seventies work. So naturally, when the news came that two of Queen’s shows at the London Rainbow Theatre – of which only parts have surfaced throughout the years – that was something to look out to. The result is a stunning look into the days when Queen was still an awesome Hard Rock band. The first surprise is how fresh the recordings still look and sound. Of course, it’s obvious that it was recorded with seventies technology, but the Rainbow Theatre had very good equipment – as evidenced by the many fantstic recordings that were made there throughout the seventies and early eighties – and it’s obvious some experts have dealt with it before release. I suspect some of the backing choirs were beefed up somewhere along the way, but the whole thing has a delightful sense of raw abandon, most evidently in Brian May’s guitar being much more prominent and rocking than on the studio recordings of these songs. Both shows were recorded in 1974, one in March supporting ‘Queen II’ and one in November promoting ‘Sheer Heart Attack’, both fine albums with a wealth of strong material to choose from. The DVD shows the entire November show, which is the better of the two. Performance-wise, there’s very little difference, but the recordings and the setlist of the latter show are just superior. There are a lot of songs included in both shows, which makes sense with the relatively limited time between them, but both shows are definitely a treat for fans of the band. Those who are only familiar with the Queen’s Pop material, the heavy guitar work on songs like the pounding ‘Son And Daughter’, the gallopping ‘Keep Yourself Alive’, the rollicking ‘Stone Cold Crazy’, the epic ‘Ogre Battle’ and the dark masterpiece ‘Flick Of The Wrist’. Other highlights include the mood setting opener ‘Now I’m Here’ and a fantastic execution of both parts of ‘In The Lap Of The Gods’. However, the powerful and dramatic reading of the beautiful ‘White Queen (As It Began)’ takes the cake. Song-wise, the only disappointment would be that the mind blowing ‘The March Of The Black Queen’ – possibly the band’s best song after ‘Innuendo’ – is only included as part of a medley. If you’re being really picky, you might notice the absence of audience footage, but let’s be honest: who cares about the audience when there’s four legends in the prime of their musical prowess on a relatively small stage? Yours truly can’t be the only fan of Queen who has been anticipating this for years, but I can honestly say, the show exceeds any expectations you might have had. This is by far the best live release of Queen, easily beating ‘Live Killers’ in terms of intensity and track listing. 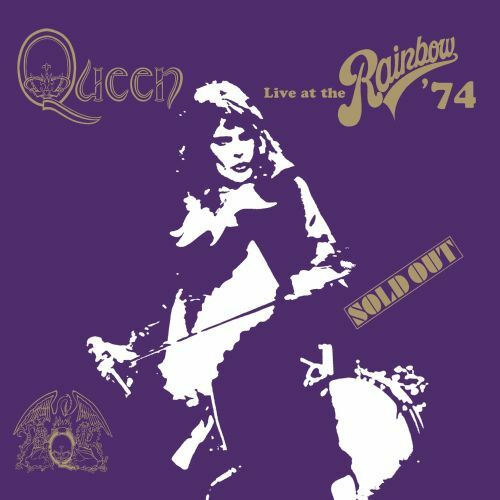 It’s a no-brainer for Queen fans that this release needs to be acquired, but anyone into seventies Hard Rock should also pay close attention to this gem.